Elizabeth Ann Vincelette, 40, of West Frankfort, Illinois, passed away Saturday February 2, 2019 at 7:50a.m. 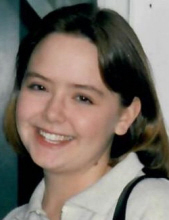 Elizabeth was born September 28, 1978 in West Frankfort to Rick and Mary Jo (Christian) McLaskey. She was preceded in death by her grandparents: Charles and Betty Christian, Dean and Ruth McLaskey. Elizabeth is survived by her husband, Carlton Vincelette, son, Emerson Vincelette; father, Rick (Vicky) McLaskey; mother, Mary Jo (Rannie) Snider; brother, Christopher McLaskey and companion, Angie Bird; niece, Emma McLaskey; several aunts and uncles. Funeral services will be held at 11:00a.m. on Tuesday February 5, 2019 in the Union Funeral Home - West Frankfort, Illinois with Fr. Brian Barker officiating. Visitation will be held from 9:00-11:00a.m. at the funeral home prior to the service. Memorials may be made to the State Bank of Whittington for Emerson's education fund and will be accepted at the funeral home. To send flowers or a remembrance gift to the family of Elizabeth Ann Vincelette, please visit our Tribute Store. "Email Address" would like to share the life celebration of Elizabeth Ann Vincelette. Click on the "link" to go to share a favorite memory or leave a condolence message for the family.